Holotropic Club is focusing on providing Holotropic Breathwork events and complementary supportive work. The main idea is to offer safe space, time and support for inner journey, for adventure of self-discovery through extraordinary state of consciousness. Our work is based on a modern approach to psychology, especialy on the transpersonal psychology and holotropic perspective. 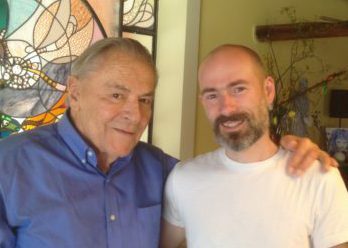 The main source for developing our proficiency of facilitating holotropic processes is primarily lifetime work of Stanislav Grof and completion of the Grof Tarnspersonal Training program. For each event there is an established team of professionally trained and experienced facilitators. Many of them have a professional backgroud as psychologists, therapists, councelors, couches, etc. Details of the team could be found in the description of the particular event. When you’re doing things from your heart, you feel the moving river – joy. Beyond the limits of the thoughts of doing the right and the wrong things is the space. We will meet there. My name is Pavel Sevcik. The holotropic perspective is my big passion, so i decided to establish this club. 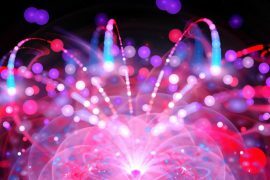 My intention is to offer Holotropic Breathwork and complementary techniques to the people and share this extraordinarily beautiful and working method of self-exploration and psychotherapy. I’ve spent years on a holotropic journey from the 90′, especially with Holotropic Breathwork. In 2015 I attended Grof Transpersonal Training program for professionally trained facilitators. I love the Holotropic Breathwork as a rediscovered essence of ancient knowledge, reformulated for this age. In the past 20 years I have met holotropic states of consciousness through various techniques and traditions, so I had a rich opportunity to explore and compare the experiences. I have felt the red line going through various cultures and traditions as well as through my heart. My experiences led me to more truthful living of my live, with more love and passion. I wish the same to other people.